Download and print these free Tripawds Holiday Ornaments you can have fun making with your family. 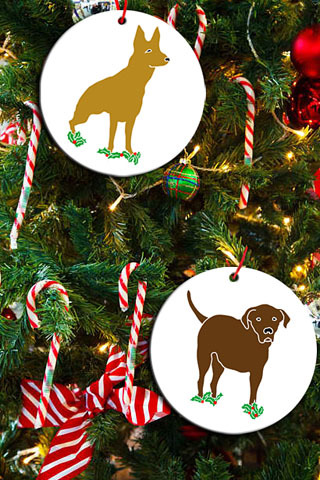 Spread some holiday cheer with these Christmas tree ornament templates featuring favorite three legged dog designs from the Tripawds Gift Shop. Our three legged friends and their families celebrating Hanukkah might enjoy making this paper dreidel template. Read original post for details and instructions. Whatever you are celebrating, spread some more Howliday Cheer with these cut-out paper ornaments. These original Tripawds ornaments feature feature original designs from the Tripawds Gift Shop. Grab your scissors, some ribbon and get crafty. 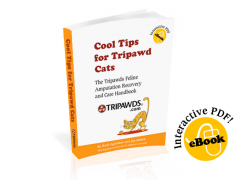 Then take some pictures and post them in the discussion forums or your Tripawds Blog! 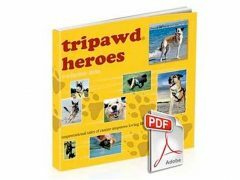 Tripawds Hoppy Holiday Ornaments and More! Visit the Tripawds Hoppy Holidays Gift Shop for some special edition ceramic ornaments to last a lifetime! 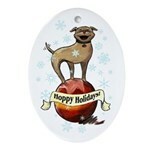 You’ll find plenty of our favorite three legged dog designs to choose from on ornaments, cards and stockings.